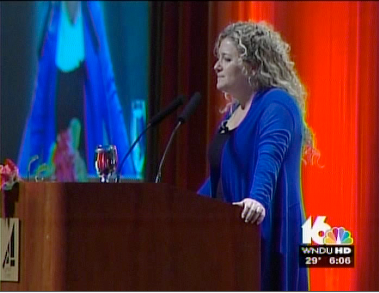 Yesterday I had the incredible privilege of speaking in South Bend, IN for the Center for the Homeless Fundraiser. Hundreds of people from the community came together to support this special cause. I am so impressed with this organization and their devotion to helping the homeless with such dignity and love. 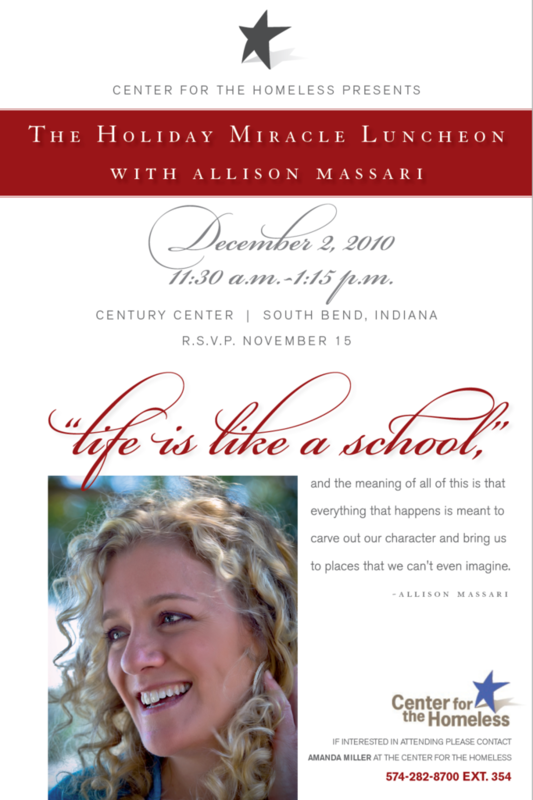 I love speaking for non-profits. What a beautiful day! The media came, leaders from the University of Notre Dame came, business owners, students, and everyone you can imagine. It was a room filled with a lot of love.